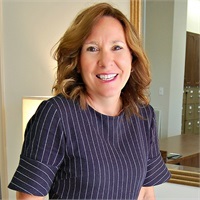 Deborah R. Blankenship | The Life Associates, Inc.
Deborah provides the full range of financial planning, wealth accumulation, and wealth protection tools. She also takes primary responsibility for the management of the business. Deborah works with clients on investments ranging from mutual funds to annuities to life insurance to individual stocks and bonds. She specializes in working with clients to develop personal financial plans. Deborah holds degrees from Lambuth College and the University of Tennessee-Knoxville. Deborah is married to Tom Blankenship, a Benton attorney.